Golf.com’s Alan Shipnuck sent the golf world into a collective frenzy on Friday afternoon when he reported that juggernauts Tiger Woods and Phil Mickelson are planning to play against each other in a televised $10-million match this summer. 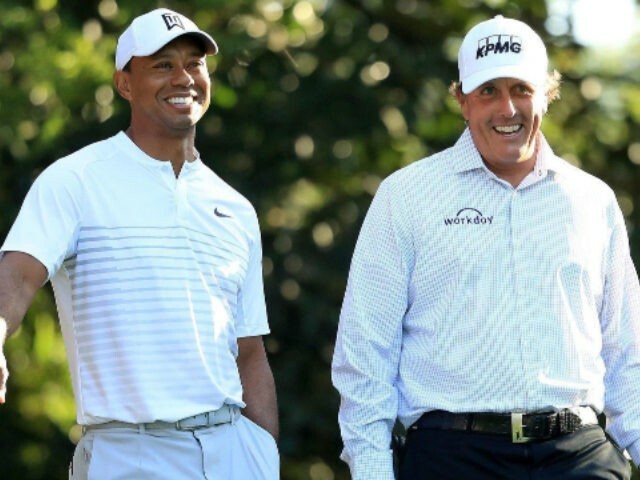 Mickelson initially hatched the idea for the match in May when the duo played a practice round prior to the Players, and even suggested July 3rd as a tentative date for the showdown after Tiger agreed to the challenge. “The excitement that’s been going on around here [at the Players], it gets me thinking: Why don’t we just bypass all the ancillary stuff of a tournament and just go head-to-head, and just have a high-stakes, winner-take-all match,” said Mickelson at the time. Unfortunately, negotiations concerning where the match would be played, which sponsors would take part, and which TV network would acquire the rights to the match were not agreed upon in time, which means that fans will have to wait a little bit longer for this epic, and long overdue, duel of legends. No date or venue has been confirmed as of yet, but many believe that the match will be held at Shadow Creek Golf Course in Las Vegas. Hopefully, the winner will donate a good portion of that massive purse to charity because both of those guys are already absurdly wealthy. The prayers of Canadian golf fans have finally been answered. 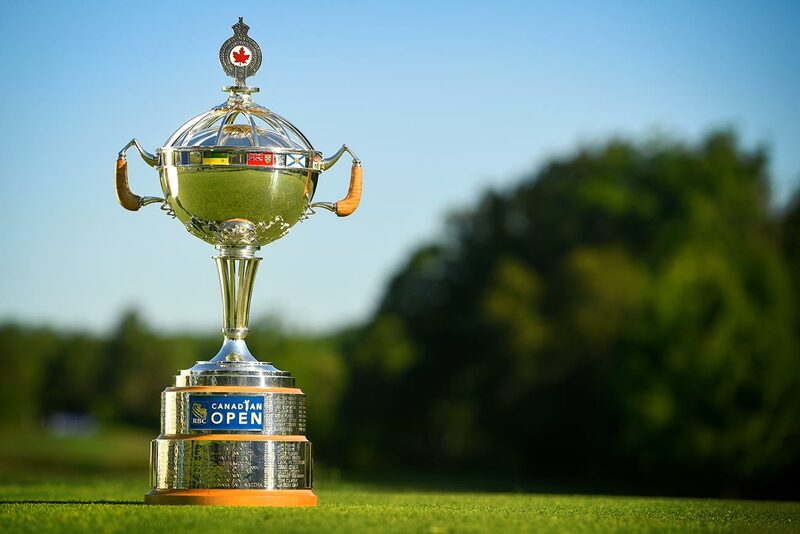 Golf Canada and the PGA Tour announced on Tuesday that, starting next season, the RBC Canadian Open will be moving to early June on the calendar and will be contested the week prior to the US Open. Beatriz Recari’s second round went from non-eventful to downright embarrassing in a heartbeat on Friday afternoon at the Thornberry LPGA Classic when she whiffed on her tee shot on the final hole. Recari, who has won three times on the LPGA Tour over the course of her career, appeared to slip in her backswing, which caused her to miss the ball completely in her downswing. 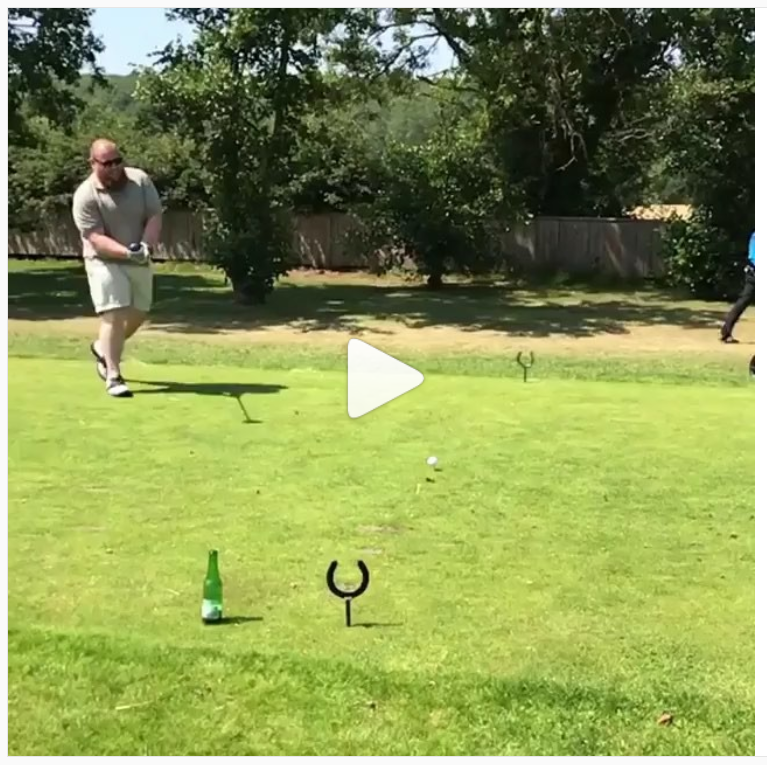 Because the Spaniard intended to hit the ball during her swing, as you can clearly see in the video, the stroke counted, and Recari went on to make a double bogey on the hole. 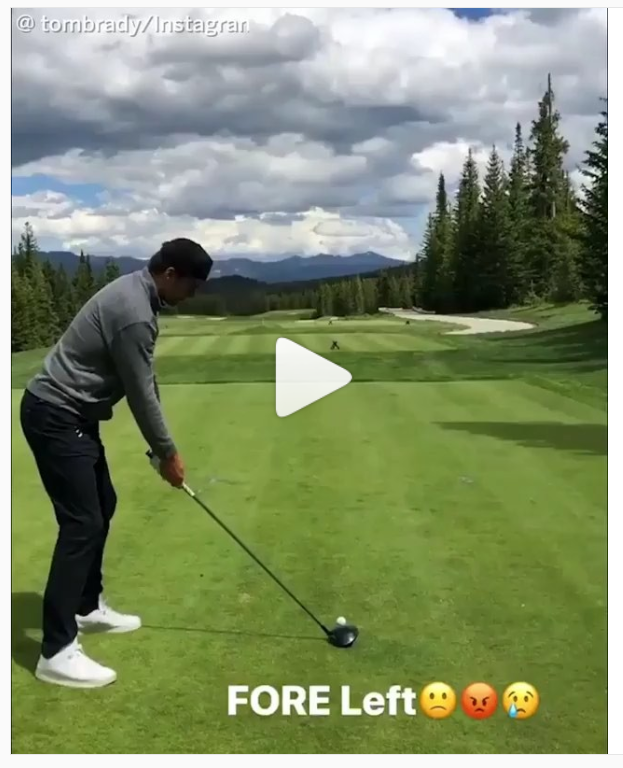 We know that Tom Brady has no plans to slow down his football career as he enters his forties, but the five-time Super Bowl champion might want to consider slowing down his golf swing because that transition is looking awful quick. This guy, caught in no-man’s land, actually put a nice strike on the ball and appeared for a second like he was going to get out of his predicament unscathed. 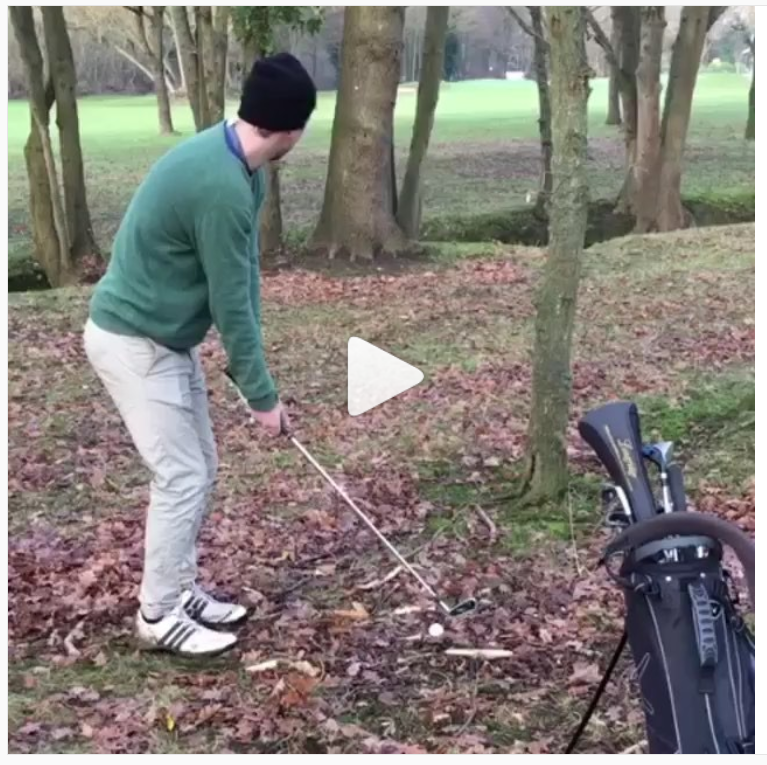 Unfortunately, his ball collided with a tree trunk about 20 yards in front of him and rebounded perfectly to the exact spot where he had hit the shot. Good to see that he had a sense of humour about it!